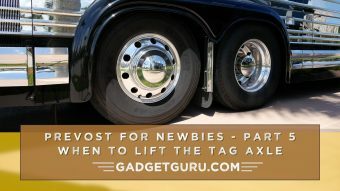 As part of The Gadget Guru’s ongoing Prevost for Newbies series, this chapter includes a video interview with Steve Zeigler, Prevost’s Director of Business Development. This interview was setup on an impromptu basis and came together as both Steve and myself were attending Marathon’s Spring Fling in San Antonio, FL. 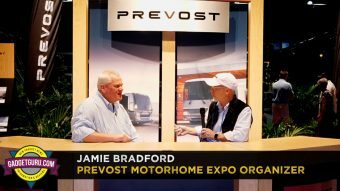 This interview is an unscripted, candid conversation that focuses on the differences between Prevost conversions and top tier Class A motorhomes and provides insight to anyone who’s considering a purchase of this magnitude. 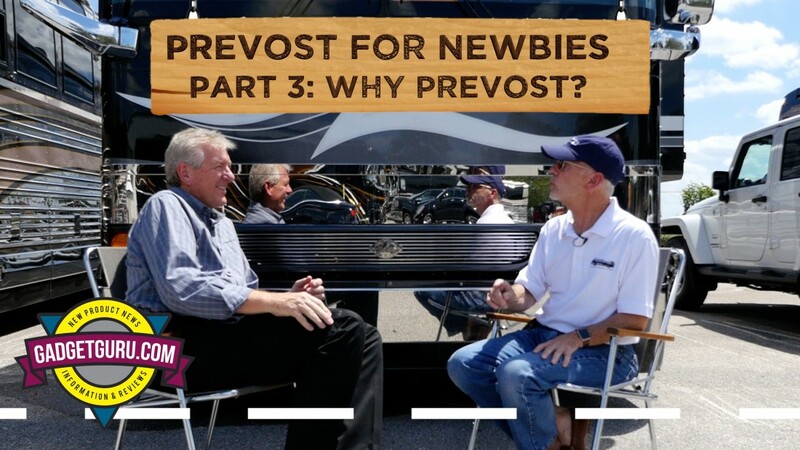 Of course since Steve is employed by Prevost, you’ll hear many of the benefits of the brand considered by many to be at the top of its class from his point of view. During my research and shopping process I’ve given this same platform to other manufacturers and industry insiders to provide their points of view and the ones who accepted my invitation have videos posted on this site and on my YouTube channel. Over a two-year period of shopping for my first motorhome, I’ve accumulated quite a few interviews. 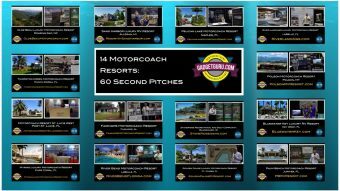 Just click the Motorhomes link on the top of the page and you’ll find many hours of video and of course, my long winded posts! I met Steve at Marathon’s Spring Fling in San Antonio, FL when he was hosting a question and answer session with Marathon owners. Just a few hours later the cameras were rolling. 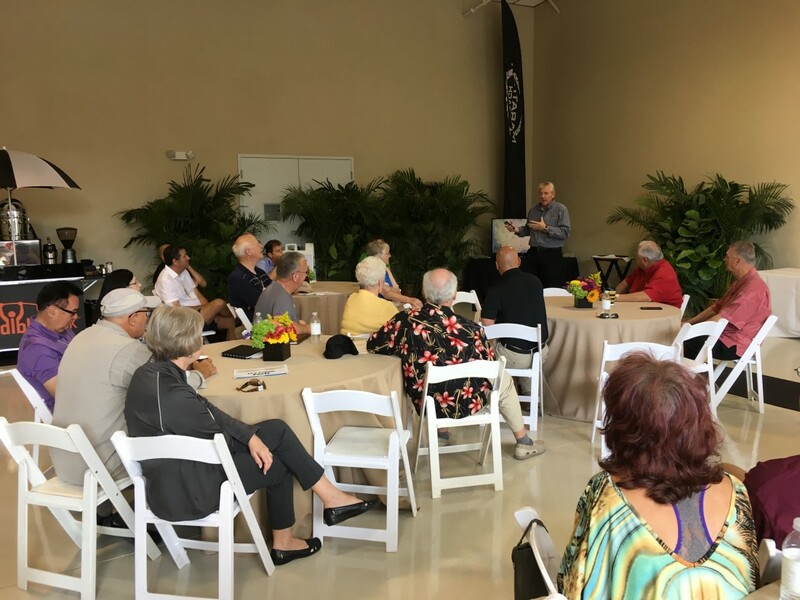 As with my interviews, the topics discussed were not provided in advance and we covered a wide range of motorhome-related topics from buying a new Class A motorhome vs a pre-owned Prevost to new technologies that make luxury travel safer and more comfortable. In this interview I’ll provide some insight on why, after nearly two years of visiting various dealers and manufacturers, taking factory tours, numerous test drives, involvement in various motorhome and enthusiasts forums, countless blog posts and an assortment of video interviews with dealers and industry executives, why I decided to go with a motorhome built within a monocoque, steel frame vs one built on a motorhome-chassis. As stated I have given the same opportunity to other manufacturers and in all cases no consideration of any form was given to me for this type of coverage. 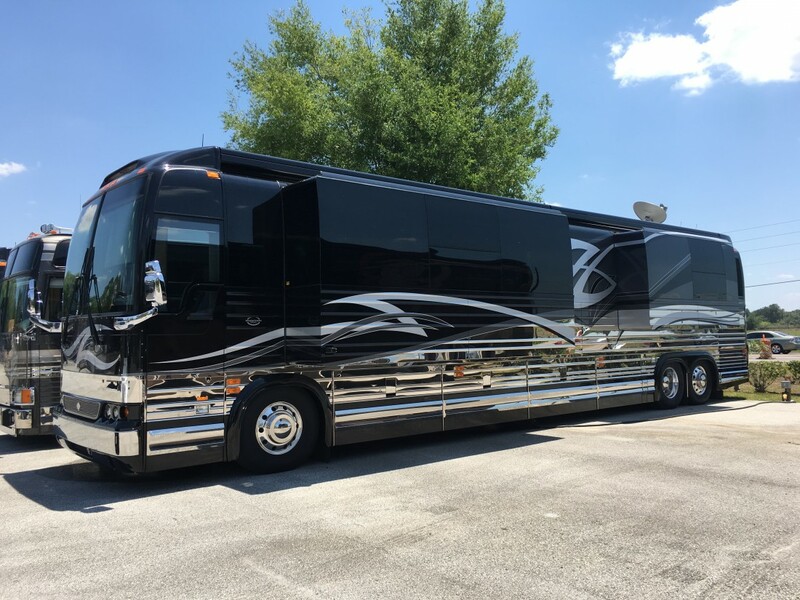 Simply stated, this is not a commercial for Prevost just as the other industry interviews were not commercials for any specific product or brand. 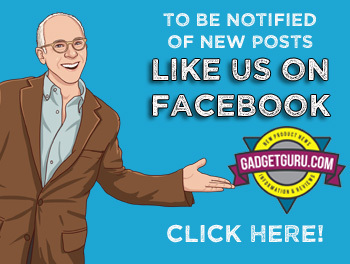 In the same theme as the type of new product stories I’ve provided during my 35 year career as The Gadget Guru, I’ve attempted to keep my coverage of the motorhome industry non-technical and have focused on the topics that are of interest to the end users. As always, I welcome your comments on my Facebook page or on your favorite motorhome forum or Facebook group. With that said, it’s no secret I’ve spent nearly two years seeking the right motorhome that fits my definition of a Recreational Vehicle. 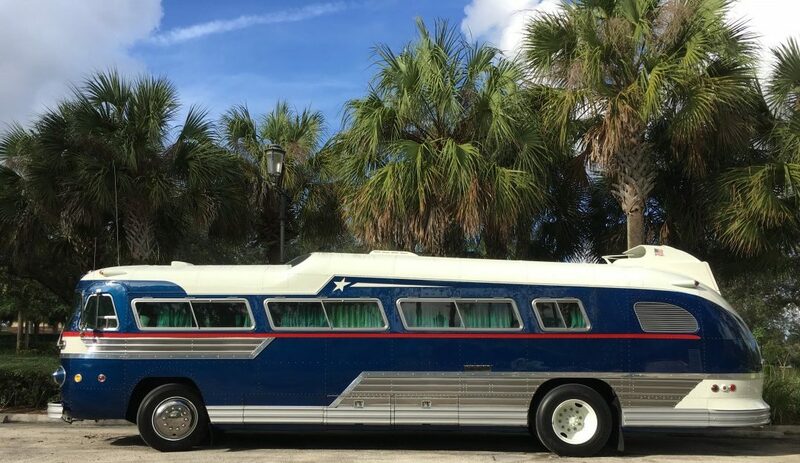 When I started my search I had no idea that I would end up owning two busses, a vintage 1957 Flxible Starliner and a pre-owned 2014 Marathon Prevost. Yes, it’s been quite a journey and something I’ve wanted to do for two decades. This is evidenced by multple live TV segments for NBC’s Today Show in 1995 and 1996 that along with stories I researched and penned for my syndicated newspaper column and for USA Today resulted in the Recreational Vehicle Industry Association’s (RVIA) recognition as its Journalist of the Year. 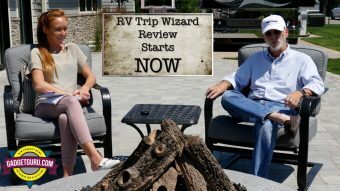 It’s my plan to continue my coverage with topics of interest to those who are seeking their first motorhome as well as those already participating in the lifestyle. 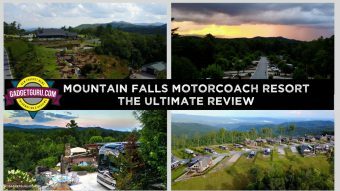 I’ve already posted quite a few campground reviews and hope to grow this area of coverage in the future as I visit more campgrounds and motor coach resorts. On a balance sheet, just like most automobiles, while a motorhome can be considered an asset, it’s one that depreciates rapidly. While my Friends will tell you that it’s within my nature to overthink things, when it comes to this type of major purchase, that’s not necessarily a bad thing. Yes, I could have simply walked into a RV showroom and selected a model with a pretty paint job and a floor plan that worked for my needs, but when it came to a purchase of this magnitude, I wanted to get it right and took my time in learning what lies beneath the living space was as well designed as what meets the eye. On a balance sheet, just like most automobiles, while a motorhome can be considered an asset, it’s one that depreciates rapidly. It’s a lifestyle purchase that can result in a costly short and long term mistake if you don’t take your time time to do your homework to find one that fits your wants, needs and budget. Since the motorhome I sought to purchase would be used for recreational and not business purposes, I’m realizing no benefit in the depreciation and there’s no way it would be considered a financial investment. I sought professional guidance and didn’t take the advise I found online about registering the bus (or in my case, the busses) in Montana and did so in my home State and paid the appropriate taxes at the time of purchase. My plan is to use this bus as a relaxing and luxurious mode of transportation and become an investment in my lifestyle. That type of investment, if done properly and with great thought, could be just as valuable as one that goes up in value. I thought it might be valuable to others who are considering a motorhome purchase if I took the time to provide some insight on why I decided to go with this specific brand and motorhome converter. Yes, this is a long post! I’ll cut to the chase and tell you why I went with a Marathon converted Prevost motorhome and my reasoning behind this decision. Simply stated, it was due to my desire to have as few headaches as possible. It was my hope to purchase a model that’s built to the highest standards and one that would deliver a positive ownership experience. 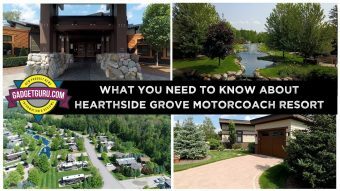 During my travels visiting various dealers and manufacturers in search of a quality motorhome, I found disappointment in much of what I was learning along the way. It seems to be a common theme for the mainstream RV manufactures to say that problems arise as they are a combination of a motor vehicle and a home which results in a house on wheels. The common excuse I heard from industry insiders on multiple occasions was that motorhomes are rolling earthquakes that are driven through hurricane force winds and problems are to be expected. I refused to accept this reasoning as I was seeking a positive motorhome ownership experience and not one that forced me to seek constant repairs and wait in long lines for service. While we all have different wants, needs and budgets, I saw no recreational value in what appears to have become common with numerous mainstream motorhome companies that require the owner to camp at a RV dealer’s parking lot for weeks on end awaiting parts and service. 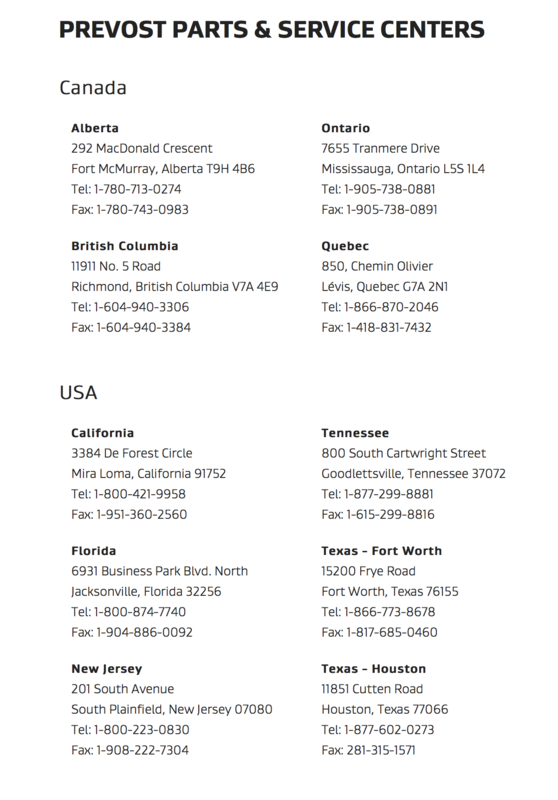 With Prevost having five service locations in the USA and Marathon with three full service centers, I felt confident that when problems occurred, assistance would be more convenient that what I was finding with other brands or converters. 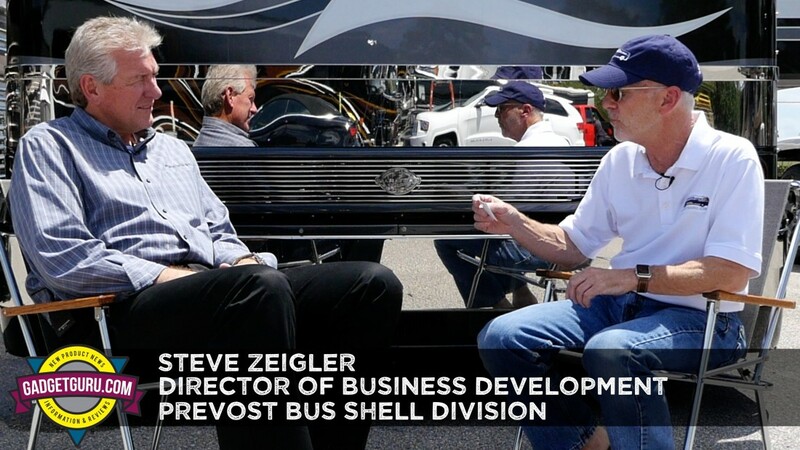 In the interview with Steve Zeigler of Prevost, we spent quite a bit of time discussing this topic. 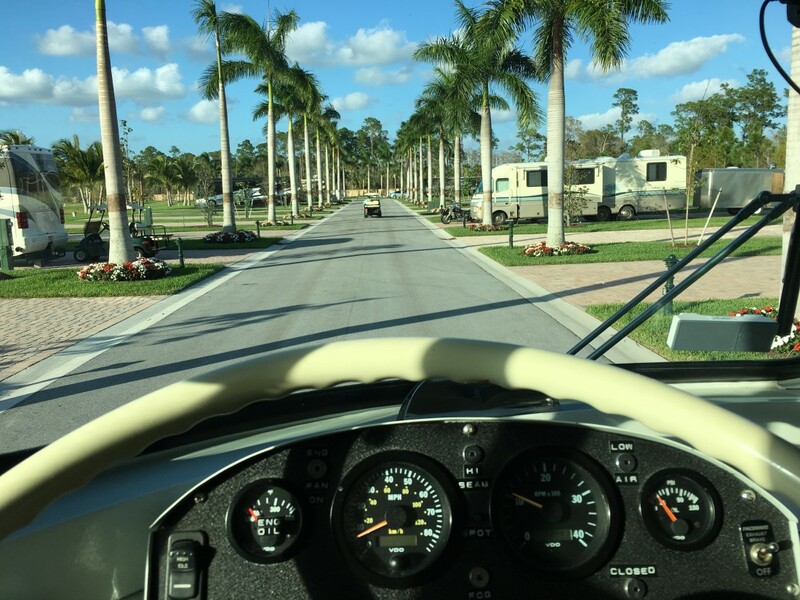 During a conversation with a motorhome company executive, when faced with the “rolling earthquake” statement, my response was comparing a modern motorhome to the houses I’ve owned over the last 20 years in South Florida. I explained that 10 years ago I moved from one home to another. The previous house was built prior to the enforcement of enhanced building standards that were legislated due to the destruction caused by Hurricane Andrew. My current home was built after more detailed building practices and higher quality materials were forced on South Florida homebuilders. While I paid a higher price for a Prevost conversion, I feel that like the example cited above, it’s built to a much higher standard. These two houses are comparably sized, but the difference in the quality of materials and the methods in which they were constructed are like night and day. The example I cited was that in the previous home, when a tropical storm was over my house, the large single pane windows would vibrate and feel like they could blow at any moment and you could feel the wind coming through the roof and walls. However, in the newer home that was built to the higher codes and utilized hurricane rated windows, stronger materials and new standards for roof installations, if that same storm was blowing through, the only way I would know it was there was if I looked through the windows and saw the palm tree bending in the wind. 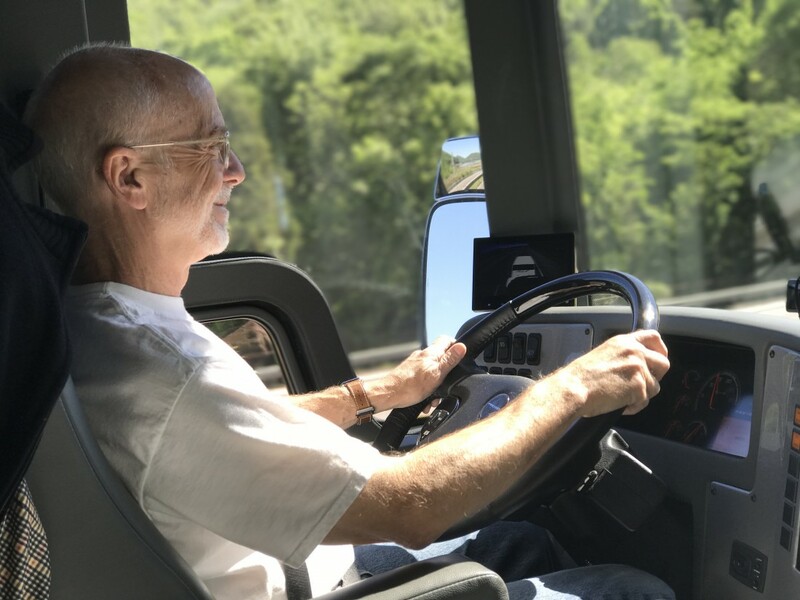 After nearly two years of kicking tires and speaking with numerous motorhome sales people and manufacturers, it made sense for me to select a Prevost. In the video posted below, you’ll learn more about what led to this decision. Allow me to add that during the first month of ownership not everything has been perfect. After logging 3,500 miles in the first five weeks of ownership I’m becoming more confident and comfortable behind the wheel. I’m still in the learning curve phase of knowing how to operate the various controls that operate the house portion of the motorhome and some minor bugs and gremlins have surfaced with both the house and the chassis. However, answers and solutions have been rapid and in most cases, the response has greatly exceeded my expectations…and that’s a very good thing. While I’ll have more on this in future post, so far I can say I picked the right chassis with Prevost and a reputable converter with Marathon. So far, when things were not going well or operating as they should, assistance has proven to be a phone call, email or text away. The responses have been as close to instant as humanly possible. While the minor issues that have surfaced to date can be considered minor annoyances and nothing safety related has occurred, I’m impressed in the method and expedience things have been handled. I’m still grappling with a few somewhat annoying nuisances and have no doubt my concerns are being handled in a professional manner. Questions comments and opinions are welcomed here, on my Gadget Guru Facebook page or on your favorite motorhome related forum.